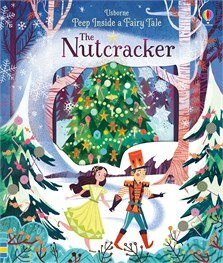 One magical Christmas night, a little girl’s Nutcracker doll comes to life! Peep through the pages to follow their adventures in this enchanting book, with delicate cutaways, flaps to lift and stunning illustrations from Karl James Mountford. A beautiful way to introduce children to the classic fairytale. A beautiful way to introduce children to this classic fairy tale.